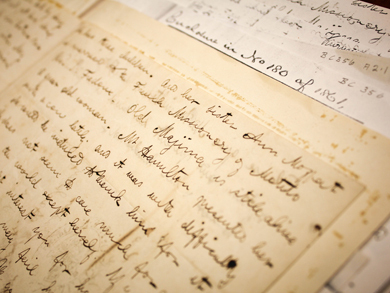 field notes David Livingstone Centre: 360 MS. 10729A David Livingstone, The Last Journals of David Livingstone, ed. Horace Waller, 2 vols. (London: John Murray, 1874), vol. 2, 298-299.
diaries David Livingstone Centre: 1115 MS. 10734 David Livingstone, The Last Journals of David Livingstone, ed. Horace Waller, 2 vols. (London: John Murray, 1874). letters British Library: R.P.2435ii(1) MS. 10708 Henry M. Stanley, How I Found Livingstone (etc.) (London: Sampson Low, Marston, Low, and Searle, 1872), 663.
letters University of Glasgow. Archives: Gen 539/6 MS. 10778 Adams[? 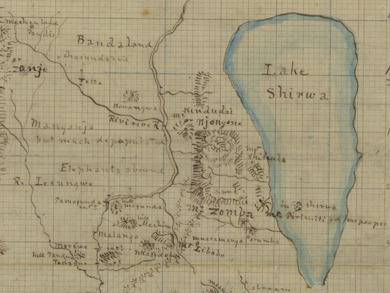 ], A Narrative of Dr. Livingstone's Discoveries in South-Central Africa from 1849-1856 (London: Routledge & Co., 1857), 31-31. Myers' Cat., 360 (Winter, 1949), no. 5.